Towering 120 meters or equivalent to 40 stories high over the Docklands, the Melbourne Star, the only giant observation wheel in the Southern Hemisphere, joining London Eye, Singapore Flyer and Las Vegas High Roller. Take flight and discover a truly unique experience. Gain new Melbourne perspectives as you step into a temperature-controlled cabin with floor to ceiling windows, revealing breath-taking 360 degree views as you float above Melbourne viewing famous landmarks, glittering skyscrapers and the bustling Docklands. Your unique vantage point will treat you to sights as far as the Dandenong and Macedon Ranges and across Port Phillip Bay. Whether you’re a visitor looking to discover our great city, or Melburnian born and bred, a trip on the Melbourne Star will show you a side of the city you’ll see nowhere else. With its stunning light shows and striking scale, the Melbourne Star is a glittering jewel in Melbourne's night sky. The unique “Star within a Star” design represents the seven-pointed Federation Star of the Australian flag and transforms at night to become a kaleidoscope of colours in a spectacular LED display. Enjoy a coffee in our relaxing Star Departure Lounge - or enhance your experience with a glass of sparkling on board. 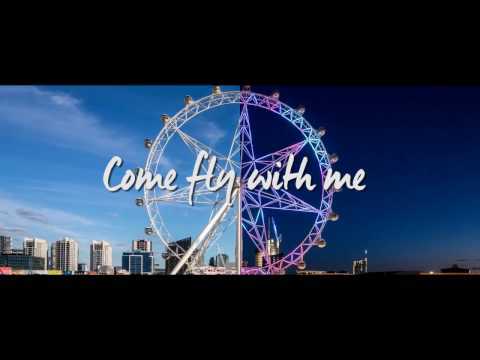 The Melbourne Star the perfect beginning or end of the day - come fly with us! Audio guide in English. Experience Melbourne Star Observation Wheel by day and night. This ticket is valid for 1 day flight and 1 night flight. Your second flight must be used within 30 days of the first flight taken. Each cabin carries up to 20 people. This activity is wheelchair accessible, subject to space availability. Summer opening hours are (September until April) daily 11 AM – 10 PM – last flight leaves 30 minutes before the scheduled closing time. Winter opening hours are (May until August) daily 11 AM – 7 PM – last flight leaves 30 minutes before the scheduled closing time. Great experience had 4 rides all up during our week stay in Melbourne. Photo's we purchased are very good and the ones on the Web site I have now down loaded for friends and Family to see. Good view of the city skyline and the entire trip is 30mins. However my partner and I were in the shared cabin with a family including toddlers. They were loud the entire time and shouting with their parents not seeming to care. My only request would be for the operators to use some sense when allocating people to cabins rather than just lumping singles and couples with groups of loud kids. Felt like we were on public transport rather than a tranquil experience. It was not crowed when we went so we got our own car to ourselves. Great views.